Gary L. Krupp, Founder and President of Pave the Way Foundation, a non-sectarian organization dedicated to achieving peace by closing the gap in tolerance, education and the practical relations between religions, through cultural, technological and intellectual exchanges, recently granted a copy of “The Covenants of the Prophet Muhammad with the Christians of the World” by Dr. John Andrew Morrow to Muhammad Ahmad Hussein, the Grand Mufti of Jerusalem. 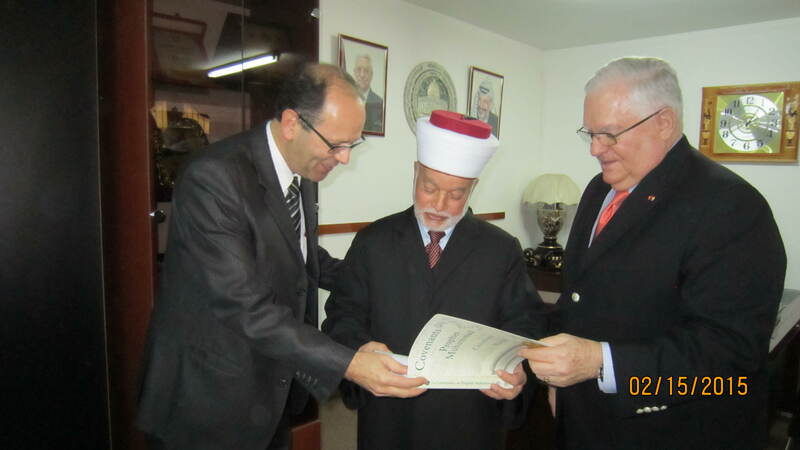 The Mufti issued a strong press release condemning the murders of the Egyptian Christians and the atrocious assassination of the Jordanian pilot. He visited the great synagogue in Jerusalem with Gary L. Krupp and a group of rabbis to personally deliver his condolences for the Jews killed in France. He also visited the Jordanian and Egyptian embassies to personally deliver his condolences. 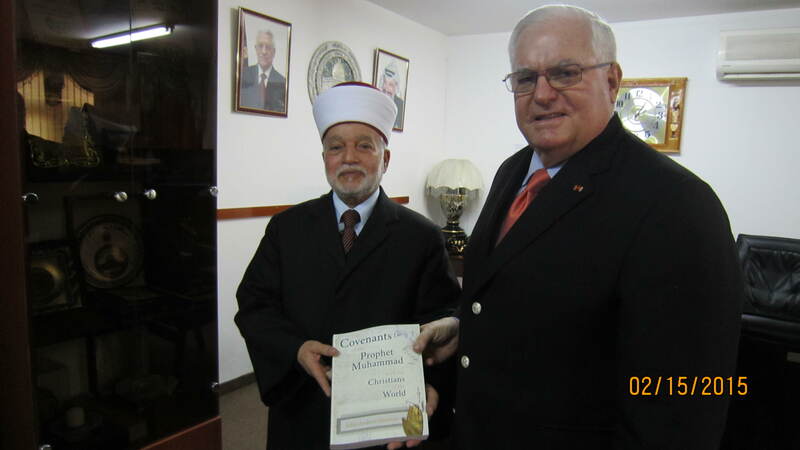 In a gesture of solidarity, the Grand Mufti provided Gary L. Krupp with some books destined to Dr. John Andrew Morrow who, along with Charles Upton, is at the head of the Covenants Initiative, a movement committed to disseminating traditional Islam, defending the oppressed of the Earth, including persecuted Christians, Sufis, Shiites, and Sunnis, and improving interfaith relations.